Your college days are over. You left textbooks in your rear-view mirror, and it’s time to leave ramen noodles and cheap bed frames there, too. Oh, and don’t you dare consider buying a new foam mattress without a foam mattress foundation. Foundations are different than bed frames, but they’re both important. A bed frame provides a metal base to support the perimeter of your bed and lifts the bed off the ground (we all love some under-mattress storage). A foundation, on the other hand, can replace a box spring mattress. The foundation sits on the bed frame and adds even more support for your comfort. A foam mattress foundation is worth the investment. A solid foundation means more REM sleep, but a bad one will have you feeling like the Princess and the Pea. 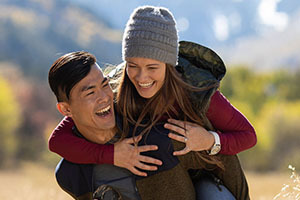 So how do you know if you’re getting the right one? Here are some tips for why a mattress foundation matters so much and what to look for. Why Do You Need a Foam Mattress Foundation? Yes, your new mattress hugs your every curve each time you roll over. It sends you into pure bliss. You’re cozy just thinking about it. But a memory foam mattress needs some backup. After all, giving a life-changing sleep experience night after night is a tall order. A foundation, like a mattress box spring, supports the underside of your mattress and protects it from wear and tear. 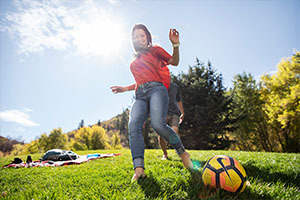 Even though a memory foam mattress is designed to resist sagging and bounce back each time you stand up – a foundation makes sure it doesn’t bend in the middle over time. Bunkie Boards: Bunkie what now? These thin platforms are usually made from solid plywood. They sit inside the bed frame to offer support to the top mattress. They float inside the frame, making them discrete, but they may be harder to position than a more substantial foundation. They don’t offer any lift, so you’ll be sleeping low. Platform Beds: These beds have a lip in the bottom frame where you can put a series of wooden planks. Similar to a bunkie board, these foundations might offer some support – but they won’t lift up your mattress and you’ll probably have to sit down to get into your bed. Box Spring Mattresses: Box springs were all the rage for a long time. In fact, they were so popular that most mattress stores began selling box spring/mattress sets. If you walk into a big retailer looking for a bed, you can bet your bottom Venmo transfer that they’ll still try to sell you a box spring foundation. These foundations provide a lift to your bed and are filled with supportive coils. Wood Slat Foundations: Slat foundations are becoming more and more popular. They have a solid wooden frame with wooden planks in the middle. They can usually be covered, so they look like a full box spring mattress from the side. The Layla foam mattress foundation is one example of a plank foundation that provides ample support and lift. If you can’t tell already, we’re partial to our own foam mattress foundation. But we don’t want you to just take our word for it. You should evaluate any new mattress, frame, or foundation based on the merits of what it can do for you. Design: You have a grown-up bed. It should have a grown-up look. Low sitting beds or beds with an exposed support foundation may sell your aesthetic short. A good foundation will blend in with the rest of your bed and have a clean appearance. If you have an elevated bed, bunkie boards and other low foundations work against your look. Durability: Raise your hand if you want to replace your bed foundation every few years. No one? Bueller? A great foam mattress foundation will last the test of time and should have a warranty that guarantees it. Check online reviews to see if other buyers have found the foundation a good fit for the long-haul. 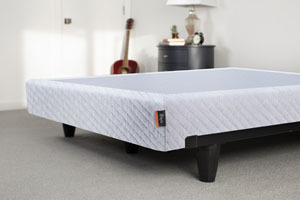 Ideally, your mattress foundation will last at least as long as your memory foam mattress does. Support: Will your plywood bunkie board last a long time? Maybe, but it could also buckle unexpectedly depending on how strong the material is. How uncomfortable would that be? 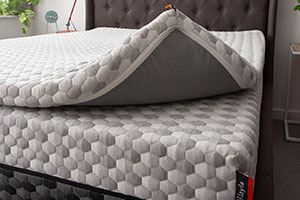 A great mattress foundation has been expertly engineered so that you sleep soundly and don’t feel any creaks or shifts beneath your mattress when you move around. Ease of Use: Do you have to lift up your mattress every few months to adjust your platform planks or board? Your foundation should be easy to assemble, and you shouldn’t have to think about it again for a long time. Like a supportive friend who quietly tucks the tag back into your shirt, a great bed foundation offers quiet reinforcement. A foam mattress foundation shouldn’t give you a headache before you even get a chance to test it out. Airflow: We believe every bed deserves to smell as fresh as a daisy. No matter how you use it. It’s why we make copper-infused, antimicrobial mattresses. Box springs are covered on all sides, stifling airflow and making them difficult to clean. Similarly, solid platforms could make the bottom of your memory foam mattress wanting for some air circulation. The best foundation offers a ton of support with ample airflow. How do you know if you need to replace your bed foundation? Once you’ve gone through the checklist above (design, durability, support, ease of use, and airflow), you’ll probably have a pretty good idea of whether you got the most bang for your buck when you bought your last bed foundation. There are a few other things worth considering. Am I Buying a New Memory Foam Mattress? If you’re replacing your top mattress, it’s likely time for a new bed foundation. Bedding bought at the same time wears at the same rate, has a similar warranty, and gives your bedroom a fresh start. That being said, we are happy to report that the Layla Foundation will work with other standard size mattresses, so you can buy it separately. Am I Upgrading My Mattress Size? So, maybe you’re buying a new mattress, but you’re still not convinced you need a new foundation. Fair enough. If you’re going from a full to a queen or a queen to a king (or upgrading from any size to another) it’s definitely time for a new foundation to match. Does My Bed Smell Bad? Be honest with yourself. If you give your old box spring a good whiff do you recoil immediately? Your body may not make any contact with a bed foundation, but between a lack of airflow and a dust bunny collection, an old foundation can still collect unpleasant odors. Bed maintenance should always be easy. Have we mentioned that? It’s worth repeating. 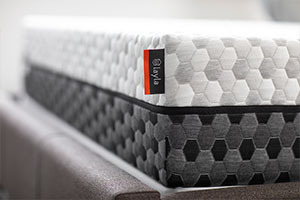 We don’t want you struggling to keep your Layla Mattress or your foam mattress foundation in tip-top shape. But there are some things you can do to make them last longer. 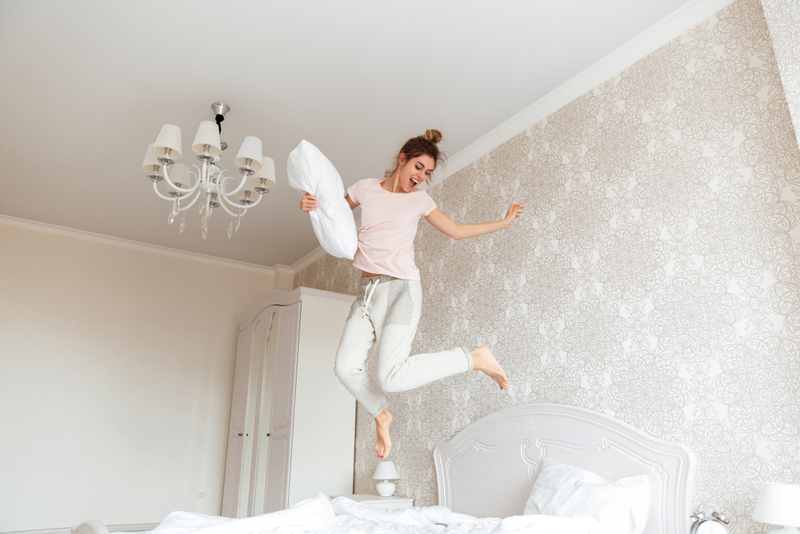 When it comes to your mattress, setting up a solid bed frame and foam mattress foundation are the best things you can do. A mattress that sits right on the bed frame is inclined to droop in the middle over time. Only the edges have direct support. 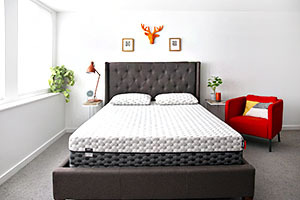 Since memory foam adapts to its surroundings – you don’t want to give your memory foam mattress any bad ideas. Your mattress deserves a foam mattress foundation from day one. Now, on to keeping your bed foundation in great shape. Caring for your mattress foundation starts with proper assembly. The Layla Foundation can be put together in just a few minutes with no special tools required. Our foundation cover is easily removed, so you can wash it from time to time and keep it clean. If we haven’t been clear already: Your memory foam mattress is only as good as its foundation. You wouldn’t put your new car on bad tires or pair a designer dress with scuffed shoes. 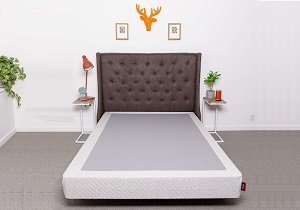 Likewise, your mattress deserves a high-quality foam mattress foundation. To make the most of your Layla Mattress, set yourself up with a quality foundation to support your good night’s sleep. If you still have questions about getting a foam mattress foundation or bed frame, reach out to Layla today for help! It’s what we’re here for. And sometimes we get lonely.